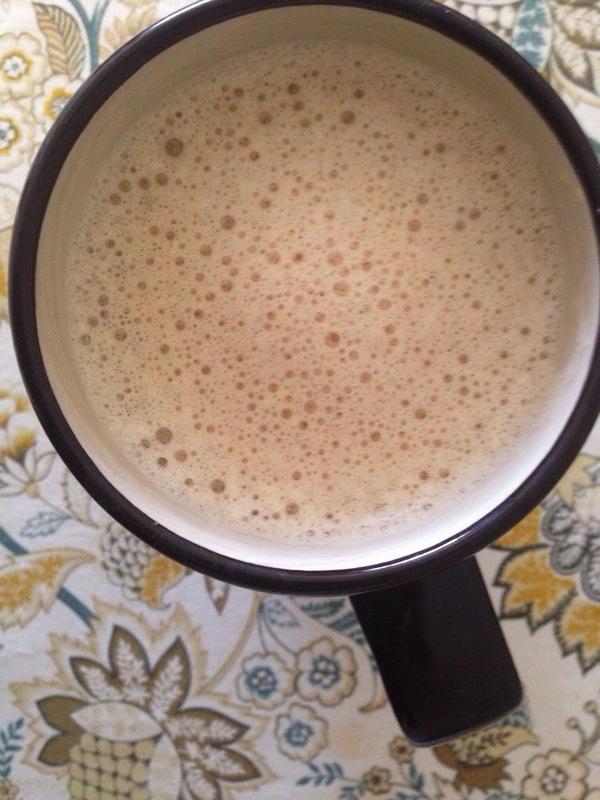 After a failed attempt, I worked out the kinks in this simple recipe for post-workout protein coffee! It’s perfect for mornings when you wake up really early for a tough workout and come home exhausted, cold, and lacking appetite. Colby and I are finally starting to go to the gym together! I’ve been waiting for him to be my workout partner since he started law school. Unfortunately, the only Crossfit class we can make it to together is at 6am…. Ugh. By the time it’s over, I’m ready to crawl back into bed and have no desire to eat a recovery meal. And it’s cold out so I don’t want a cold protein shake. 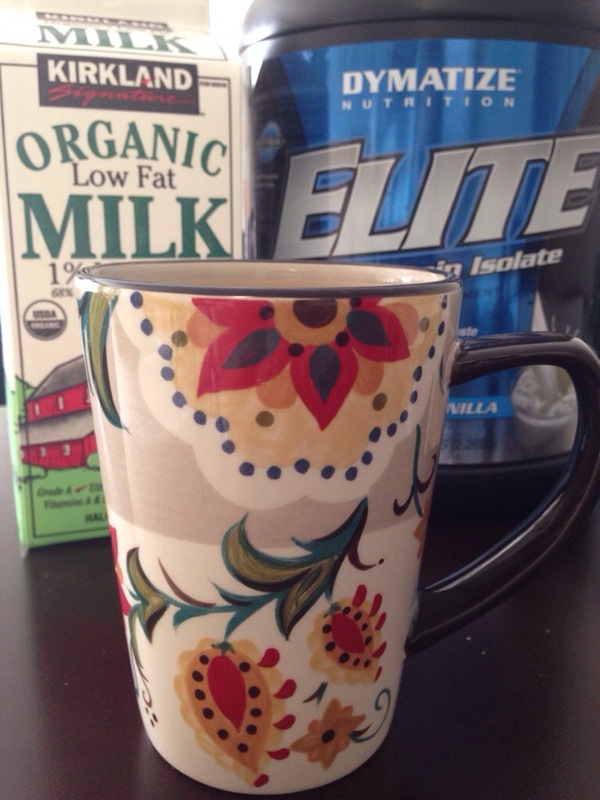 This coffee really hits the spot when you need a jolt of caffeine and some liquid protein for recovery on a cold day! Start by whisking 1 scoop of chocolate or vanilla whey protein isolate with 1/4 cup of milk. I like Dymatize Elite because it dissolves quickly. Be sure to do this first! If you add protein to hot coffee, you’ll end up with a chunky cup of brew. 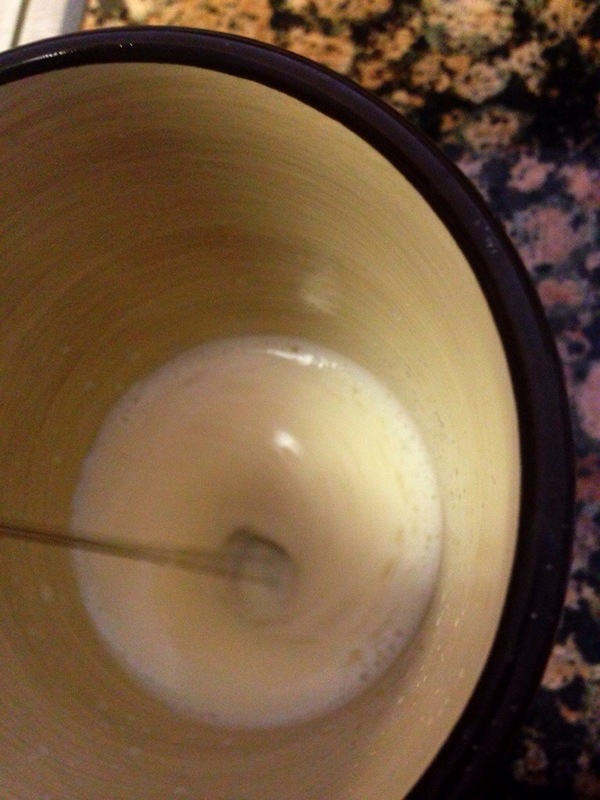 Add hot coffee to the milk mixture slowly. If you’re hand pouring, stir the liquid in the cup as you add the coffee. Add sweetener of choice, if desired, and serve! Now you’re ready to take on the day like a champ! Do you know how flavored coffee is made? Do you suppose flavors like caramel macchiato, peppermint mocha, bananas foster, or Irish cream milkshake are natural? I’m here to tell you that flavored coffee actually comes from stale, bitter, unwanted coffee beans that are chemically bound to laboratory derived flavoring agents. Read the full scoop on how flavored coffee is made here. I hope you’re thoroughly grossed out and want to flavor your coffee yourself. 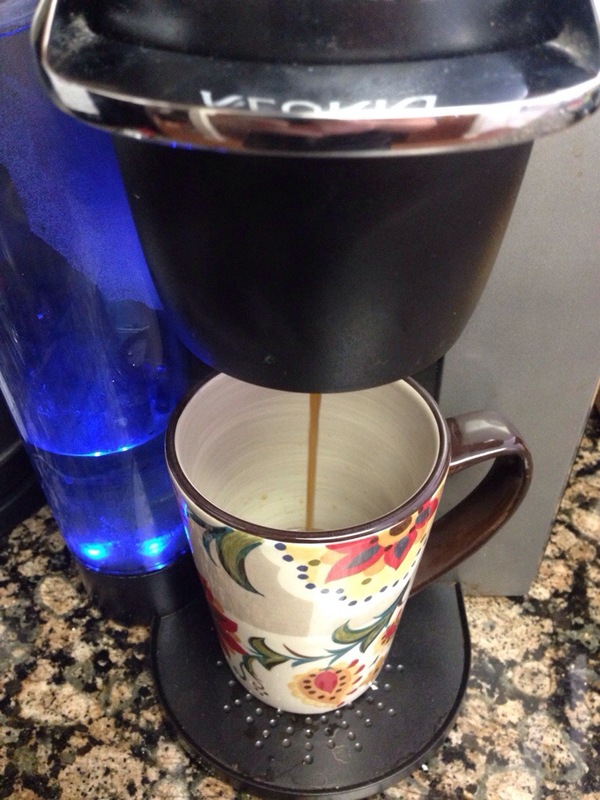 Here’s how to make tasty almond coffee! 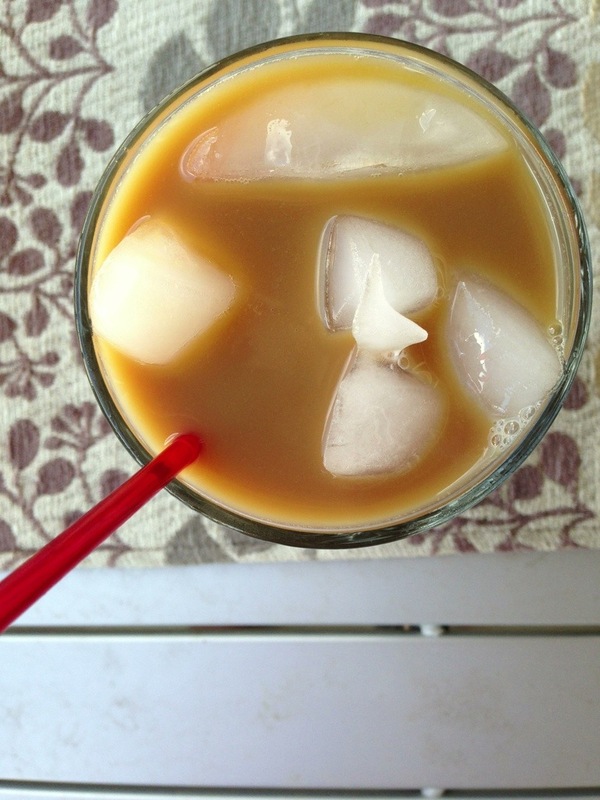 I used Starbucks French roast coffee, chilled it in the freezer after brewing, and then added my ingredients. I used stevia as the sweetener. 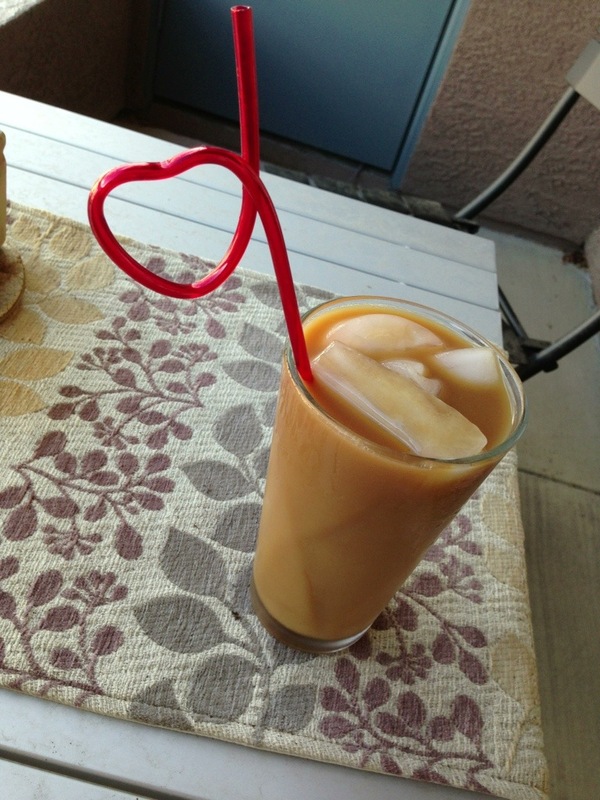 If you’re going to use sugar, add it while the coffee is still hot so it will dissolve better. Good milk choices include half & half, cow’s milk, soy milk, almond milk, coconut milk, and rice milk. Pick whichever you prefer! I used organic 1% milk in mine. 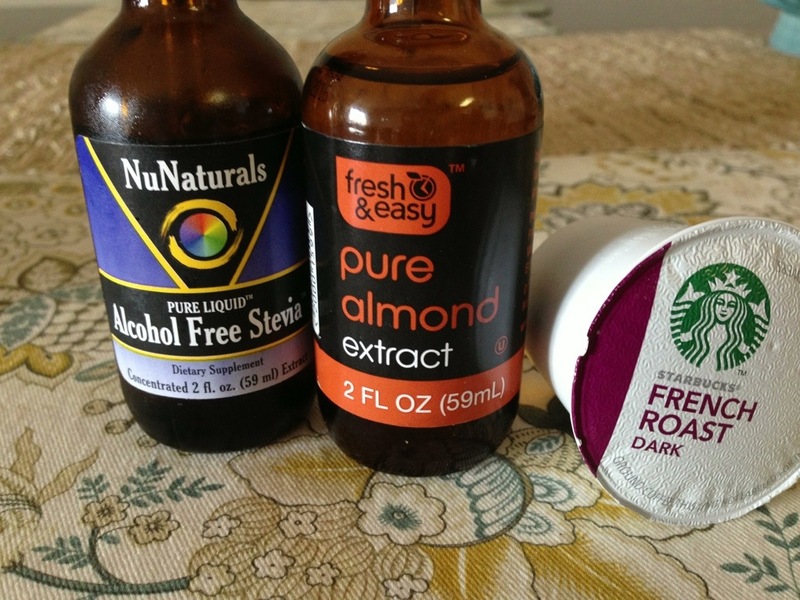 Experiment with your own flavorings and nix the propylene glycol used to bind artificial flavors to coffee beans!